I am also refelcting a lot on all of my friends, new and old, and the love they pour out on not just me, but everyone. I am really happy being surrounded by so many amazing people who love and support the people in their lives. And speaking of great friends, my sweet friend Lindsay has shared with me a top secret project that she has been working on over in Pixies and Bears land :) She is amazing, truly. Please check out this precious new item in her etsy shop....it's part of her new Collectable Badge Line. "This badge was made special for a special cause. All proceeds will be donated to Janel and Adam to help in their mission to adopt their baby girl. 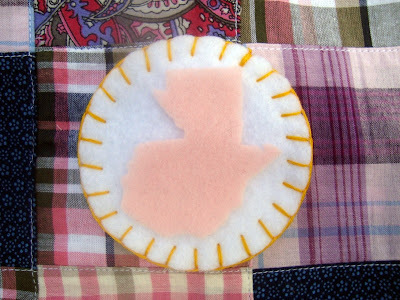 This badge has a cut-out of Guatemala to represent their journey of bringing home Pita. Show your support by wearing this badge as a reminder that YOU played a special role in bringing a family together." And while I obviously need some of these badges, there are soooo many more that she has created that I MUST have too!! They are all so cute and so affordable!!! 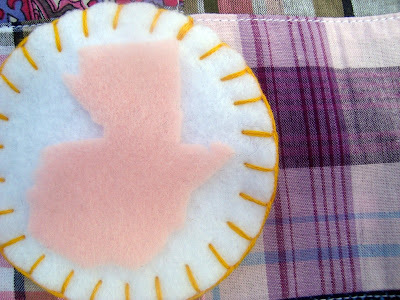 I also read that she is going to make a felt book to keep all of the badges in that you collect!! How cool! It's like being in girl scouts again and earning badges that are much cuter and with a more important sentiment!! They are amazing right?? They all have cute meanings like "I'm nuts about you," and "Sew in love." Do you have amazing friends? secret crushes? the best pen pal ever? Show these pals just how much they mean to you with these adorable collectable badges. Who doesn't love to earn a reward? 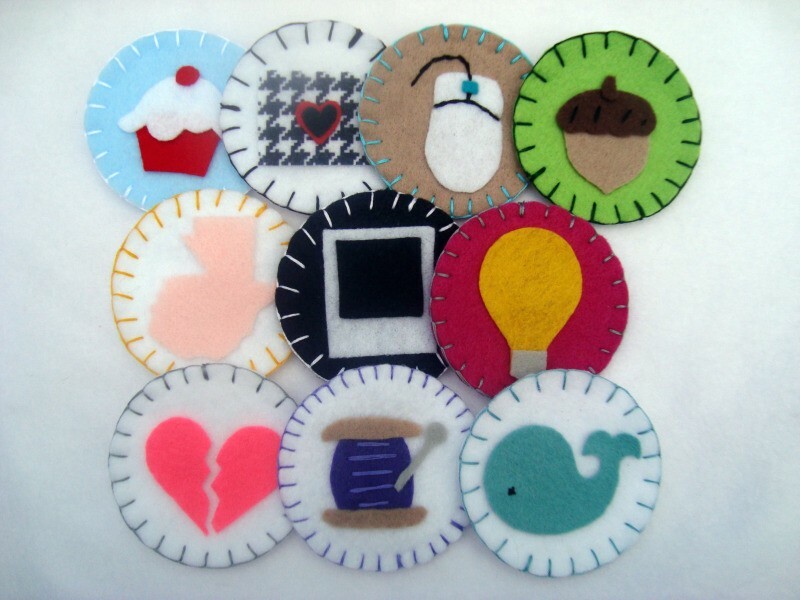 Each badge comes with it's own personal sentiment for you to share and was completely made by hand with lots of love. Not only is this collection cute, it's functional and can be used to accessorize any outfit or bag. It has a pin back enclosure to easily pin onto your shirt, purse, anything! More badges as well as felt badge books will be released throughout the year, including limited edition ones! Collect them all! Badges are 3in in diameter. ohmygoodness they are all adorable!!! I can't wait to start a new collection :) Thank you so much Lindsay, and for everyone else who has supported us in this journey! I can't wait to see all of you rocking your "Pita" badges!! You are sooo sweet for posting this!! I am so happy to be able to help in any possible way I can!! Love you Janel!!! You are amazing! i love love love your new design! your new look is darling! your friend Courtney deserves a pat on the back. courtney did a fabulous job on the design. i agree lindsay is very kind & caring. glad u feel love cuz i'm certain u deserve it! You know what? I feel super blessed to have you in my life! You are such a sweet & inspiring friend. I think the badge by Lindsay is such a great idea! Those badges are just gorgeous! Love the new layout too. Do you think you could put your goal on your sidebar and how much you have raised? LOVE LOVE LOVE your friend Lindsay and I'm so blessed by her part in helping you get my niece safe and sound in your arms!!!!!!! I can't wait to meet you little PITA! I'm sooo getting a badge. What a truly amazing thing that Lindsay is doing for you. 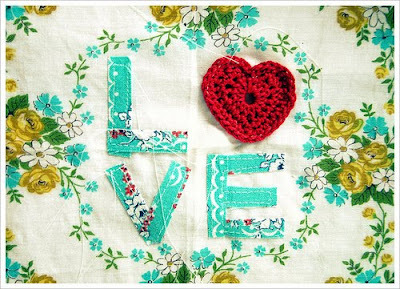 I am uber jealous of your new blog layout; so beautiful and so Janel! Your blog looks so beautiful Janel. Just like you. I just signed up for the journaling class. the guatemala pin is especially awesome because there's where my family is from. off to get one (or more ;) )from her etsy!